Our location in the Heart of North Yorkshire means that most locations within North Yorkshire are within easy reach. Thirsk, Boroughbridge, Ripon, Harrogate, Bedale, Northallerton, Easingwold, Wetherby, Linton, Collingham, Tockwith, Tollerton, Great Langton, York, Leeds, Roundhay, Horsforth and West Yorkshire. 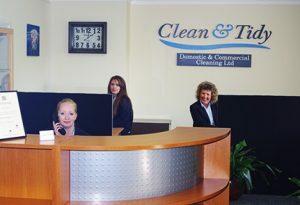 We are customer-focused and customer-driven and proud to offer a comprehensive service which includes the cleaning of prestigious commercial properties as well as private domestic homes. 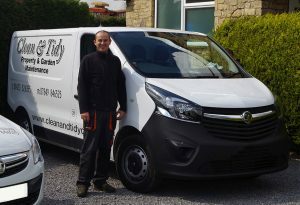 Established in February 2004, Clean And Tidy Domestic & Commercial Cleaning has grown through recommendation from our loyal customers in the private and business sectors in North Yorkshire. 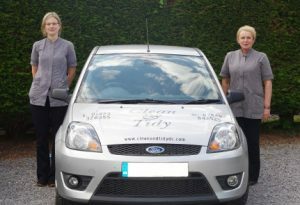 Our fleet consists of small modern fuel efficient vehicles. We are always looking at ways to reduce our carbon footprint and reduce our impact on the environment and pass these efficiency savings onto our customers, while still giving the best service and flexibility we possibly can. Clean & Tidy are always looking to recycle waste products wherever possible to make the least possible impact on the environment, plus, using recycled materials uses considerably less energy than that required for producing new products from raw materials. 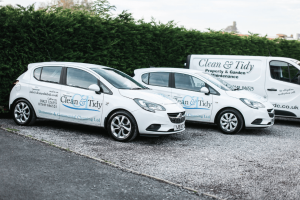 Wherever possible, we purchase all our cleaning products locally to reduce the environmental impact, reduce costs within our business and support local trade.